Ladies and gentlemen I’m honored to be here at the European Parliament and to partecipate in this Social Economy Intergroup Publich hearing. I’m here representing the italian Forum of the Third Sector. A national organization that represents 75 second and third level entities. All toghether 95.000 local officies, that are active in different fields. Main aim of the Forum is to give value and visibility to these entities, that all toghether support the role of active citizenship to build a cohesive and democratic society, and that are strenghtening a social economy based on subsidiarity, quality jobs, social justice. The discussion of today on the role of social economy is very wellcome. Though, Europe has never been in such a difficult situation, with high unemployment, especially of young people; the deterioration of welfare model in many countries; the new political scenario with Brexit on one side and mr. Trump on the other; nazionalism becoming stonger in various european countries; the spread of xenophobic and racist messages; more that 120 million of europeans at risk of poverty, esclusion, and inequality. Among the various challenges that our European States are facing, the humanitarian crisis of migrants arriving to Europe is challenging our tradition of human rights and solidarity. Migration has been increasingly presented as a danger and it has been securitized. We believe that only a common european policy on migration and refugees might give back to Europe its authoritativeness, clarifying that Europe is a land of solidarity and is able to find ways to manage the phenomenon. Without this step, the Pillar on Social Rights risks to be carried out with a ghost behind it and surely will not have the same impact. We have today a Europe less resilient to economic, social and cultural shocks; and we definitely need shared values and innovative tools. Let’s hope that by december 2016 we have a document useful to develop innovative policies and to meet some of the challenges we are facing. We think that the process implemented by the Commission on social issues, from Lisbon Agenda, through 2008 Social Agenda; including the Social Dimension of the 2020 European Strategy. Just to mention some of the steps. Has been a positive one. 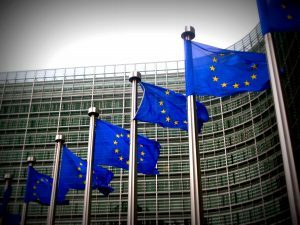 The European pillar for social rights, whose preliminary outline has been put forward in march 2016, gives new strength and enfasis to the social dimension of european politicies, focusing on the links between employment and social policies. It’s consistent with the Forum history putting at the center of the economic development the life of the people. In Bratislava madame Tyssen has said that “economic development should result in social progress”. and moreover, that economic development, according to the SDGs, must be economically, socially and environmentally sostainable. Social economy, infact, try to combine the economic goal with the social impact. 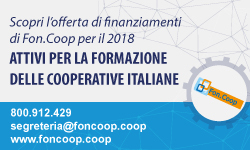 As Italian Forum of Third Sector, that put toghether non profit entiies of different kind (associaions, social cooperatives, voluntary organizations, NGOs, workers organizations), we’d like to emphasize, in particular, that the role of social economy overcome the economic boundary. It calls the citizens to be active and responsible toward the society and common goods, developing activities that have economic implication. According to the recently passed Third Sector law (la Legge 106/16) social economy in Italy is defined as “the group of private entities pursuing civic, solidarity and social aims that are not profit oriented. These entities implement the principle of subsidiarity consistently with their statutes and support and carry out general interest activities through different types of activity, whether voluntary, payment-free, mutual oriented or production and trading related”. (Fonte:EU, TIPIK, Euricse EMES Network, Social enterprises and their eco-systems: A European mapping report, Updated country report: Italy, 2016). We think that the Social Pillar will succeed if we remain focused on the aim of facing the growing inequalities, as the central issue. European societies will develop only if they are inclusive. We need to support Europe in becoming more just toward vulnerable and excluded people, namely people with disabilities. That, like everyone else, have the right to equal opportunities to access secure contracts, quality employment, education, training, life-long learning, long term care. The Social Pillar should be then aligned to the Convention on the Rights of Persons with Disabilities. We need to look with honesty to inequality between generations, where Young people don’t have equal acces to quality jobs and welfare system. In order to tackle these inequalities, we need a social policy that covers the different forms of work; that covers the job to job change, that adapt social protection to the new jobs. An investments in skills at different level, is required and new ways of helping young people like mentoring and different forms of training. Also linking with the programmes already financed, like Erasmus +. Whose funds should’nt be diminished, but increased. a) The social economy is a sector which has weathered the economic crisis much better than others, offering quality jobs to hundred of thousand of people. The investment in social cohesion, social innovation, cultural programmes, informal education has shown that can be pre-condition for economic development, especially in areas particularly under developed. Moreove, Social economy can develop job environments able to welcome vulnerable people, giving to them acces to quality employment. To pay special attention to developing effective ways of involving young people in the social economy, in particular girls and young people with disabilities. Also improving the represantation of youth and girls in the social economy entities. To pay special attention to the development of university curriculum on social economy at national and international level, that can facilitate the sharing of experience and the training on the job, thus giving young people the opportunity to develop innovative skills in social economy sector. c) Social economy involve people, active citizenship, supporting beneficiaries to raise their voice and to fight for their rights. A Pillar on Social Rights should foresee a mechanism of listening to people, with the aim of involving communities at local level.